TAL Studio | Profile of Todd-Avery Lenahan outlining his design and interior architecture expertise in the hospitality industry. "The magic of Todd's work is that he creates an emotional connection with the guest, both fantastic and rare." "Todd is bold about the story-telling of design. Some simply say "wow" when they experience the compelling quality of his work. It just doesn't get any better than that." "Todd holds his own as one of the best designers in the world, we are lucky to have him in Las Vegas." "Lenahan is both theatrical and cinematic in the execution of spaces that are as engaging as a great film." "Part of Todd's unique appeal is that he's so smart, so well educated, and so well traveled...he's uniquely connected to what he's talking about." 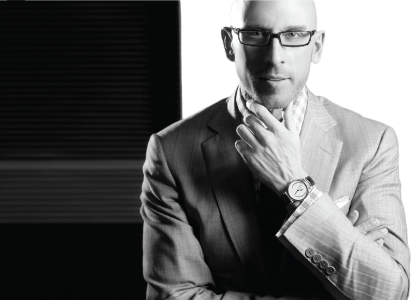 The founder of TAL-Studio, Todd-Avery Lenahan is regarded as one of the hospitality design industry's most progressive thought leaders with a unique breadth & depth in the hospitality consulting industry. He has been commissioned by leading international hotel development & operating brands to author and implement design standards for their global hotel & resort portfolios. He speaks publicly at industry events and in the media about the business and power of design. He is a frequent contributing writer to a diverse range of international travel, leisure, and design publications. At the 2010 Hospitality Design Exposition, renowned AD 100 designer Roger Thomas described Lenahan as "the most exciting designer in the hospitality industry today". In 2008, Lenahan was Boutique Design Magazine's Designer of the Year, and in 2010 became the youngest inductee of the prestigious HD Platinum Circle which recognizes lifetime achievement and contributions to the industry at-large. In 2013, he was honored as the recipient of the HOSPY Award for Lifetime Achievement and Contributions to the design indistry. His work in hospitality & entertainment design has been recognized more than 50 times with the industry's top awards and honors for outstanding achievement. His work is regarded for its extraordinary diversity of range, and adept mastery of design influences from around the world and throughout time. From classic to contemporary, and bold to bespoke, his body of work is a tour-de-force of creative vision brought to life on behalf of the world's most esteemed clientele. Prior to founding TAL Studio, Lenahan was a Principal of Design & Interior Architecture for Walt Disney Imagineering worldwide. Todd-Avery earned his five year professional degree in Architecture from The University of Texas at Austin School of Architecture, where he graduated with honors and received the J.M. West Corporate Fellowship. Upon graduation, he was named Outstanding Graduate and was awarded the prestigious Alpha Rho Chi Bronze Medal in Architecture. He has been an adjunct professor at the UNLV School of Architecture and now serves on the UNLV President's Foundation. As well, he serves on the Board of Directors for Communities in Schools of Nevada, and on the advisory board for The Smith Center for the Performing Arts. Lenahan also serves on the Board of Directors for the Nevada Ballet Theater. In 2010, he was chosen as one of the "Vegas Dozen" by the Nevada Cancer Institute and VEGAS Magazine for his community involvement & impact. He is nationally certified by NCIDQ and holds an active certificate number. In 2013, he drafted & sponsored the legislation to revise the Nevada Statutes to grant licensure of candidates with accredited degrees & training in the field of Architecture to be register & practice as Interior Designers. Originally from Washington, D.C., he now lives at the western edge of the Las Vegas valley with Windsor, a Cavalier King Charles Spaniel who serves as TAL Studio's Chairman of the Board and weekly happy hour host. Todd has lived & traveled throughout the world since childhood and is a life-long student of design & art history. Referred to many years ago as “The 7-Star Czar” by the chairman of a preeminent international luxury hotel brand, Lenahan is renowned as a global luxury analyst for hotels, resorts and hospitality corporations through his The 7-Star Czar International Consulting services which examine the luxury service experience of leading hospitality businesses and enterprises. In the style of a ‘white glove’ hospitality industry standard consulting service (a sort of “luxury secret shopper”) Lenahan provides the world’s leading luxury hotels, resorts, entertainment and dining establishments with an observational analysis, after in depth discrete assessment of operations and custom-designed strategy to ensure the highest level experience is concisely delivered in order to preserve and or grow market share for best in market properties. Commissioned by luxury hotels and resorts worldwide that require a global perspective to ensure their ability to deliver a level of product and experience that exceeds conventional “standards” Lenahan works with corporations to provide a qualified and discerning analysis based on his rare degree of expertise in all aspects of hotel design, development operations, service recovery, customer loyalty, and marketing. Able to observe the industry from every dimension, Lenahan views the industry through his lens of unmatched expertise and accomplishment: visionary, developer, designer, creator, operator and quintessential discerning end-user of luxury services for over three decades. The 7-Star Czar is a world leader providing custom-made-razor-focused outlines and guidelines. Lenahan’s degree of scrutiny and the foundation upon which it is built academically and professionally far overshadow the ’standards’ established by Forbes and AAA. Please contact Ann Shatilla or TAL Studio for more information.